Diversity is the backbone of Indian culture and traditions. It is what stands us apart from the rest of the world and the self-governed unity in diversity exhibited by India comes as a big surprise for many, especially those nations with very strict law enforcement agency. But of late, this diversity is being threatened more and more, largely influenced by media or mediated by vested interests who do not want peace and progress of India. The most recent case in this regard is that of the recent clashes in the otherwise enchanting natural landscape of Assam. Its backlash has been the attack on Assamese and other individuals from North-east India outside of the region. Any such attempt at promoting this hate violence is a threat to India as a whole and those who do not understand or appreciate diversity have no place in this richly endowed (yet poorly fathomed) land of seamless diversity of different levels. Today, looking at the present situation which calls for greater harmony and unity among the people at large, music needs to play a greater role. Each one of us needs to be reminded today of the unity in diversity that has bound us since time immemorial. Today, the nation needs to stand with our brothers and sisters from the North East, instill confidence and become a true example of the nation with maximum diversity and greatest unity. And the single most effective source of doing that is through the very medium which is sans borders. 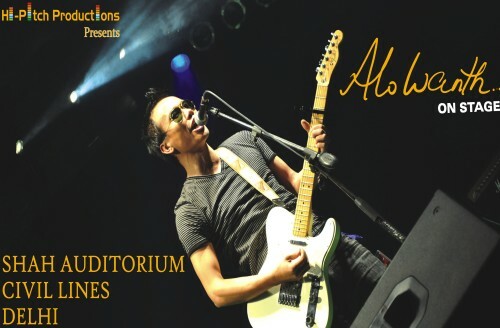 With this as the backdrop, and with a vision to provide a platform for all gifted musicians from India’s North East, Hi-Pitch Productions invites one and all to a musical concert by Nagaland’s most celebrated singer ALO WANTH. Along with diversity, India as a nation has tremendous resilience which does not let if go off track. This time too, people from all across the nation have come together in smaller and larger groups to raise their voice against such targeted violence and are doing what they can do promote the very ideology of ‘unity in diversity’ which binds us all. And what better medium to do this, then through the one medium that does neither understands barriers nor borders. It is known that music can cut across class, caste, region and religion and unite against all odds. The sound of music echoes from all parts of India and has certainly been a uniting force for the country. The region outlined by the geo-political terminology of ‘North East India’ is especially known for its western and rock music which binds the seven sister states together and has also created a niche for North Eastern singers in other parts of the country and abroad. The musician that is al Alo Wanth believes that music is a universal language and can bridge any gap. This concert is thus a display of his brave heart. The underlying message of the concert is that people from the North East are safe, wherever they are in the country. “Therefore”, says Alo Wanth, “this is a very important concert for me to show what my music really talks about”. The concert is also the first large scale concert being organised by the group Hi-Pitch Productions, which is being set up with a vision to help budding musicians, especially from North East India, who are committed about making music as their career. This is a great initiative to tell them that they are safe outside their houses and they need not worry. Activities like these help social causes get noticed and hence garner support. Recently I came across this new video from Jumpin [link suppressed] where each share will pledge some amount to Save the children NGO towards education for poor kids. A peppy video to catch the attention and a deeper cause related to it…good thought! Don’t you think so?